In ancient times, this Mino lived in the ocean's abyss. It can control the seas with the pair of remora around its body. 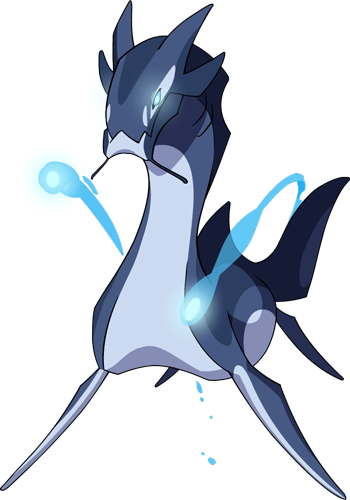 Strikes the target with a powerful beam of water. Powerful spouts of water beam out from beneath the ground. 10% chance to Freeze foe for 2 turns.